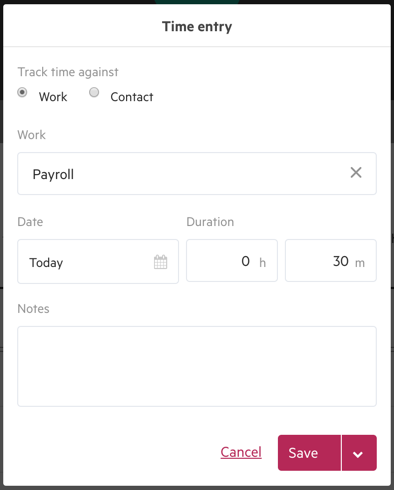 Karbon's TSheets integration allows you to track time from inside the app. Here's how to set it up. 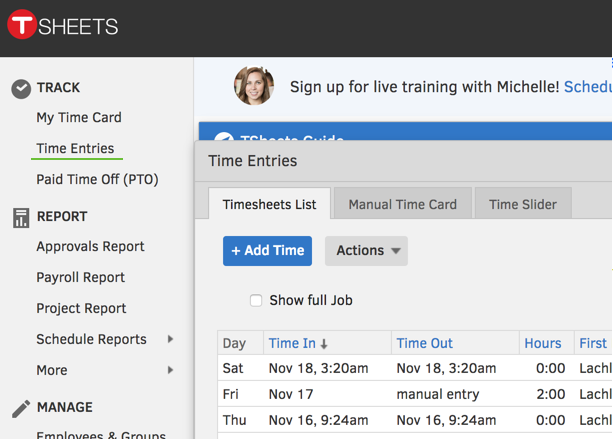 You can track time against contacts or work in Karbon by integrating your account with TSheets. This guide will walk you through the steps to connect your TSheets account to Karbon and begin tracking time. If you are an existing TSheets user, you must take the time to ensure that your contact names in Karbon match any codes in TSheets before you connect the two apps. This is a critical step—any Karbon contacts that don’t match a TSheets code will be created as a new code in TSheets. To avoid creating duplicates, we recommend exporting your codes from TSheets and comparing them with your Karbon contacts. Take the time to ensure your client names in TSheets match your contact names in Karbon. From Settings, choose Connected apps. You'll then be able to connect with TSheets. You'll be given the option to connect an existing account, or if you don’t have a TSheets account, you’ll also be able to create one with a 14-day free trial. Once you have connected your TSheets account you will be able to set up your integration settings. Once you click Save & Sync, the data you have chosen will be synced with TSheets. You can now begin to track time from either Karbon or your TSheets dashboard. When adding time from this option, you will not be able to locate the 'None' contact. You must search for and use another contact to add time against. If you wish to add time against the 'none' contact, you will need to add time directly on that contact, or on one of their work items. You will be able to view any time that has been tracked and entered on the Time tab of the contact or work item. This includes the time that has been entered in both Karbon and TSheets, and will also outline which team member has tracked what time. In Karbon, you will see the last six months of time that has been entered. 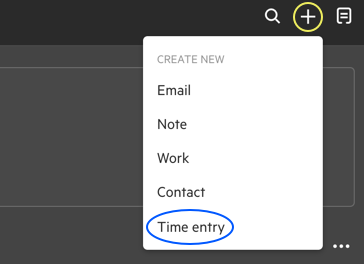 In your TSheets account, you can enter time in Time Entries by selecting the codes to record time for. This time that you record will then be visible in Karbon on the corresponding contact and/or work item. Note: If you sent to TSheets both clients and work, then you can only record time against work items, not clients in TSheets. However, you can add time for both in Karbon to see the results in your TSheets reporting. You can also view time entries in TSheets, which have been entered against contacts or work items in either app. From your TSheets dashboard, select Time Entries. If you use advanced tracking features in TSheets you can enter these non-time related metrics within Karbon too. 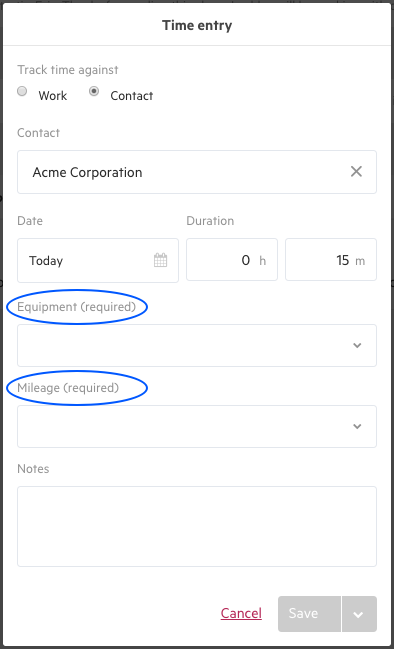 From any of the time entry modules, you can select the advanced tracking category, which will allow you to enter your data or select from the drop-down options. If you sync both contacts & work, but decide to only track time against contacts and want to remove the work codes from TSheets, you will have to do this manually. Therefore we recommend you only sync what you need. 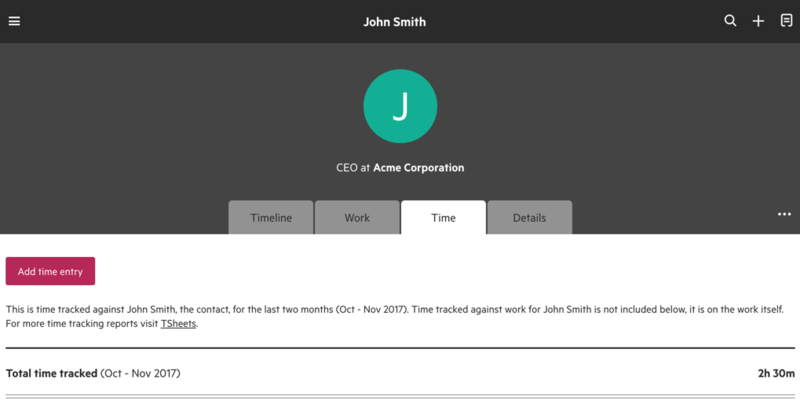 When syncing both contacts & work, once you track time on a specific work item for a contact, you will no longer be able to track time at the contact only level for that specific contact. If you change a contact or work name in Karbon, the TSheets code will also be updated. On the other side, if you update a name in TSheets, it does not come back into Karbon. While the names will now differ, they will remain in sync in regards to time. All your time data is stored in TSheets, and Karbon only brings in the last six months of time. This is something we are seeking feedback on, so if you'd prefer earlier time to be brought into Karbon, please let us know. All new contacts and work added into Karbon will automatically go to TSheets (if you have chosen that item type to link to TSheets). However, any new contacts added into TSheets will not be automatically update to Karbon. If you change a contact for work in Karbon, the TSheets code will remain linked, but you will need to move the work to the new client inside TSheets. If you don't do this, TSheets will report under the old client. Time recorded on work items does not track up to the client level. You record time on the contact or work item, and they are separate totals.